Kitchen Accomplished! I thought this would be a great Metamorphis Monday Post! It’s fun to see kitchen updates! 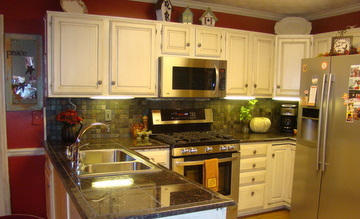 Here are some pictures Before~The Husband did all the work, counter-tops, backsplash, installed new appliances! Everything! He had a little trouble installing the dishwasher, like I said yesterday and I’ve included a picture of the d–n dishwasher, which The Husband named in a fit of frustration with the thing. 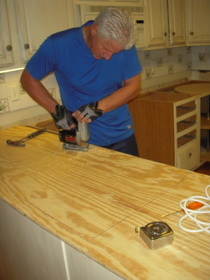 Gotta love a man who can work with power tools! 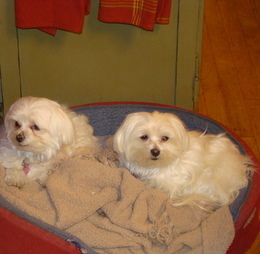 Here are the pups, happy about being downstairs after a long weekend of being banned. 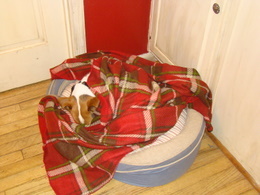 Notice Ollie, aka: Naked Dog, he’s very dramatic in the mornings with all his shivering and shaking! I have to keep him covered until about noon. 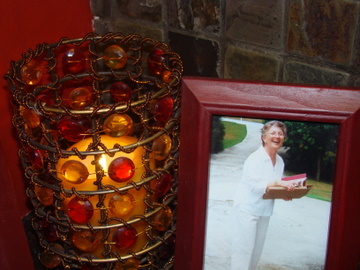 ~A picture of Mom~TTFN Peeps! Your gift of hospitality comes through even in your blog. You’re on a new adventure, Robin. I just know it! I don’t know where it will take you–but I sense something budding in you. Oh my goodness, oh my goodness….what a beautiful job he did!!!!!!!!!! Wow! Gorgeous!!!!! I can foresee many happy times in that kitchen! what’s the first meal you’re going to make in it to celebrate? I knew it would be amazing! Great color choices! 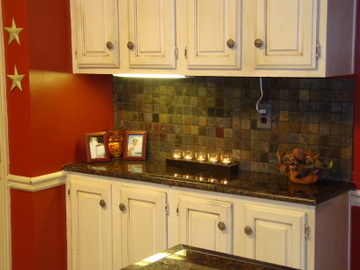 I’m actually very partial to red for kitchens and the backsplash and tile really give it a warm yet luxurious look! “Damn dishwasher”, you and Mike are a hoot! I’ll be really anxious to hear how you like “damn dishwasher” after it has performed for you a few times! Having myself grown up as the official “dishwasher” in my childhood home, heck I’d take “damn, stupid, idiotic” and many other “blankety-blank” dishwashers over doing them myself again! Congratulations on the great accomplishment and a brand new kitchen! Can’t wait for mine!!! It looks amazing. Mike’s a genius. The Damn Dishwasher is my favorite new appliance and mostly… I love your mom. I don’t know her but, wow, that photo captures her spirit! Wow! It looks amazing! So beautiful. Thou shalt not covet thy blog friend’s kitchen. Your momma looks so pretty! That picture so captures her beautiful spirit and heart. I totally agree with Julie. God has been birthing something in you over many years and it is so exciting to see how God is growing you. YOU ARE TOTALLY LEGITIMATE, you are so ready for this next phase in your life. No hiding, let that light shine bright! I love you! I am cheering you on my sweet friend!! I am very impressed with the design element of your new kitchen Robin. I give you all the credit. I give Mike all the know how talented he is and what a fantastic job he did. 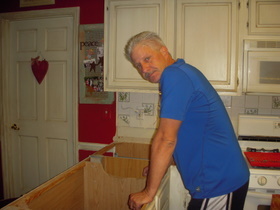 I know that it was harder to rebuild the kitchen than you great kids having your female granchild. I love the cute feet pictures. Okay the little dogs are cute too! I’m a little late but the kitchen looks AMAZING!! I can’t wait to come see it. I bet you will love cooking in it this year!!! Wow! 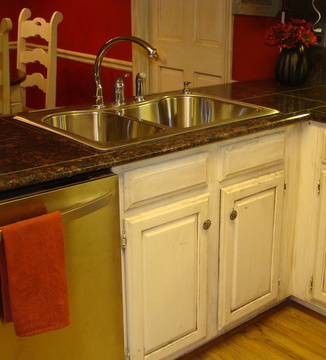 Your kitchen looks fabulous!! Thanks so much for giving the url….Just so you know, I didn’t know it was a “faux pas”!!! LOL!! I love your blog and have added it to my blog roll.